Congratulations to Belgian Star Wars fan club and site TeeKay-421 upon reaching their twentieth year! You’re now as old as the Star Wars special editions and the Galaxy of Fear books! As one of the longest-running Star Wars fan clubs still around, with their own website, print magazine, and podcast, TeeKay-421 has been a mainstay of great fan content for not only Belgian fans, but Star Wars fans around the world, with several TeeKay staff also being frequent contributors to Star Wars Insider magazine and StarWars.com. Hats off to our friends on their “Twintig Jaar” celebration, being held today in Antwerp. We’d say that in another year, your club will be old enough to drink, but that’s just in America, so bottoms up to Tim, Kevin, Sander and the rest of the gang! Proost! Sorry, May 4, but May 25th is the real Star Wars day. 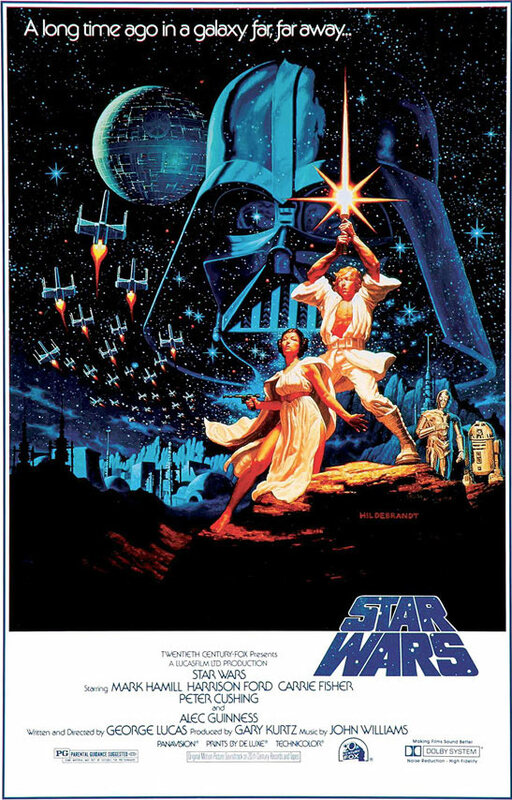 Another anniversary is upon us, with A New Hope (then just Star Wars, of course) coming out on this date 37 years ago. 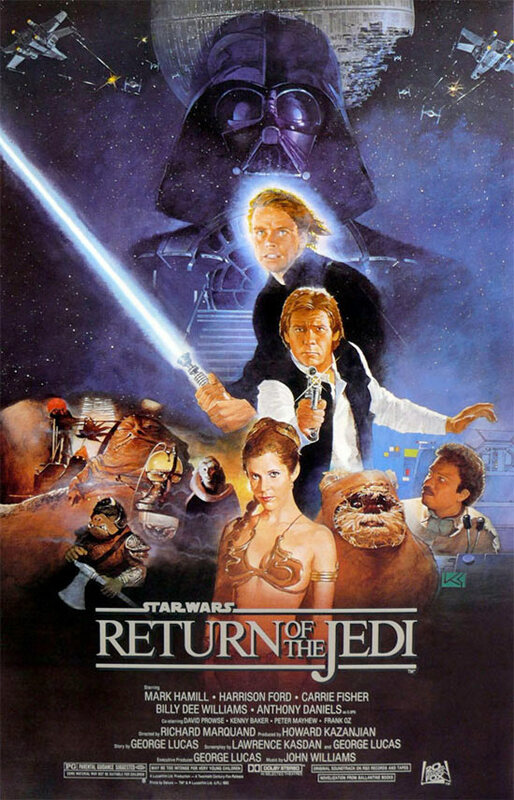 And 31 years ago, we saw the release of Return of the Jedi. Of course the two bookends of the original trilogy would have birthdays regardless, but it’s especially meaningful this year as we know that production on Episode VII is underway..
Congratulations also go to Nanci and Brian of the fansite Tosche Station, who got married today! The Phantom Menace turning 15 is our second significant anniversary since Episode VII was announced (Return of the Jedi turned 30 last year,) so here are few TPM links: James’ reflections on The Phantom Menace 3D; J.W. Rinzler on George Lucas’ thoughts on midi-chlorians; Jake Lloyd on Episode I in 2009 and our own anniversary post that year; Amidala’s costumes in Vogue. Head below the cut for a few more videos of note. StarWars.com has announced that there will be a special screening of Return of the Jedi at Entertainment Weekly’s CapeTown Film Festival in Hollywood on May 4th. The screening, held at the at the Egyptian Theatre where it premiered in 1983, is to celebrate the film’s 30th anniversary. It’s clear that this is the thing that was teased by EW’s Geoff Boucher on Twitter, but I have to wonder what if there’s a big scoop is coming to the magazine itself to coincide with all this? Bigger than a ‘publishing announcement,’ even? Episodes IV and VI are both celebrating birthdays today; 35 for Star Wars and 29 for Return of the Jedi. Per usual, the Tumblr is locked and loaded and will be flooding your dashboard with plenty of relevant content (mostly pictures, honestly; I’m visual like that.) But the entire internet is getting on the action, so check back here for updates. Over at the Huffington Post, Jon Favreau, Jon Favreau, Gary Ross and many other filmmakers talk about how Star Wars and George Lucas influenced them. At Underwire, they profile visual effects guru Phil Tippett, talk to Ben Burtt about sound, and in an opinion piece, y Cade Metz bemoans how digital effects let Star Wars down. Plus, the 35 greatest tributes. Newsarama looks back with a graphic timeline of 35 years of Star Wars. Is this the cliff note version of Year by Year? At 2:00 p.m., Mashable will be holding a live blog to celebrate. What will happen? Who will show up? We’ll be there… Or just hear about it later, probably. Also: A different take on the Slave Leia outfit from author Olivia Waite. Yes, there’s the Star Wars Holiday Special‘s 30th, but more importantly, it was November 17th, 1998 that The Phantom Menace trailer debuted, ushering us into a new era for the movies and fandom. The Stooge shares his story of seeing it… What’s yours? Raise a glass to Tolkien! Thirty-five years ago today the world lost a master storyteller. To celebrate the occasion, there’s a huuuuge poll over at the Livejournal Star Wars community. Happy Birthday to the Wookieepedia! So the site I like to think of as being full of crazy younger brother types, the Wookieepedia, is turning three years old today. I think in internet years that makes it what? Fifteen? A disturbing age, but we’ll get through it. But no, we won’t buy you beer.